The Department of Pediatric and Adolescent Medicine, General Pediatrics at the University Hospital Muenster offers the full range of comprehensive diagnostics and effective treatment of various diseases in children of all age groups. The physicians of the department specialize in the treatment of rare pathologies, for example, cystic fibrosis. The experienced pediatricians of the department apply in their clinical practice only reliable and the most effective treatment methods, which ensure an optimal treatment outcome. In addition, the department has at its disposal an excellent infrastructure, adapted for the treatment of children, which makes the hospitalization period easy for patients. 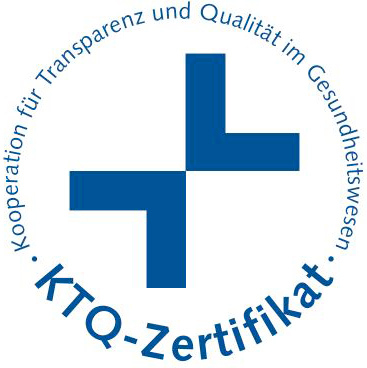 The outstanding quality of medical services rendered by the department is confirmed by the prestigious quality certificate Ausgezeichnet.FÜR KINDER. The department is headed by Prof. Dr. med. Heymut Omran. The specialists of the department participate in numerous research projects of the national and international levels, which allows them to introduce the most advanced achievements into clinical practice in the field of pediatrics. In addition, another contributing factor to the successful clinical activities is openness and friendly attitude towards young patients and their relatives. The department also provides detailed consultations on all the questions of interest, and peculiarities of any pathologies, as well as inform patient’s parents about the possible treatment options, their advantages, etc. 1986 - 1987 Alternative service at German Red Cross. 1987 - 1994 Study of Human Medicine at the Albert Ludwig University of Freiburg. 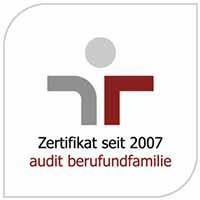 Since 1988 Member of the German Scholarship Foundation (scholar of Studienstiftung des deutschen Volkes). 1990 - 1991 Medical training at the University of Manchester, England, UK. 1993 - 1994 Scholarship of the state of Baden-Württemberg for the University of Massachusetts, USA. 1994 - 1996 Internship in the Department of Pediatrics at the University Hospital Freiburg. 1996 - 2001 Research Fellow in the Department of Pediatrics at the University Hospital Freiburg. 2002 Senior Physician at the Center for Pediatrics and Adolescent Medicine, Freiburg. 2002 Habilitation and Venia legendi in Pediatrics. 2004 Deputy Head of the Department of Neuropediatrics and Muscular Diseases. 2006 Appointed Extraordinary Professor in Pediatrics. 2007 Adjunct Professor of the Department of Pediatrics, University of North Carolina, USA. 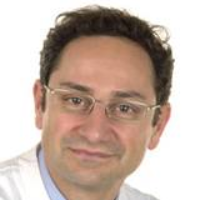 2010 Head of the Department of Pediatric and Adolescent Medicine, General Pediatrics, W3 Professor for Pediatric and Adolescent Medicine at the University Hospital Muenster. 2006 Board certification in Neuropediatrics. 2008 Additional qualification in Pediatric Endocrinology and Diabetology. 2009 Additional qualification in Pediatric Pulmonology. American Society for Human Genetics (ASHG). German Society of Pediatrics and Adolescent Medicine (DGKJ). 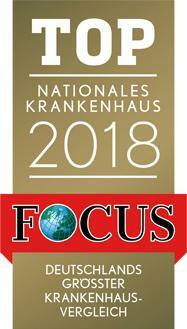 German Society for Clinical Neurophysiology and Functional Imaging (DGKN). German Society for Neuropediatrics (GNP). European Kidney Research Association (EKRA). International Pediatric Nephrology Association (IPNA). German Academy of Sciences Leopoldina. 1999 Else Kröner Fresenius Award. 2001 Award of the European Renal Association for "Mapping of the human adolescent nephronophthisis gene locus and demonstration of synteny to the pcy mouse model". Young Investigator Award of the European Society of Human Genetics for "Mutations in DNAH5 cause primary ciliary dyskinesia and randomization of left-right asymmetry". 2015 Eva Luise Köhler Award. Selected journals: Nature Genetics; Nature; Science; Nature Medicine; Nature Cell Biology; Neuron; American Journal of Human Genetics; Annals of Neurology; American Journal of Respiratory and Critical Care Medicine; Journal of Cell Biology; Proceedings of the National Academy of Science. Scientific Organizations: German Research Foundation (Germany); INSERM (France), Telethon (Italy), Uitzicht (Netherlands), Wellcome Trust (UK). Expert Advisor of the Human Genome Nomenclature Committee (HGNC). Department of Pediatric and Adolescent Medicine, General Pediatrics.